Hey, guys and girls! The Ghetto gangstaz have robbed the collectors and took quite a sum of torns! It's time to rob the robbers, the winners get everything! After the next Ghetto redistribution (approximately 3AM GMT Sept 19th) the epic rap-battle over torns begins! Each victorious battle (no matter against player or NPC) adds some torns to the winners' pot which the victorious faction takes. Once the winner is determined (yet next Ghetto redistribution) the torns shall be shared between the players of winning faction: the more Dominance you add to the common victory, the more is your share, and don't forget that each your battle increases the pot! 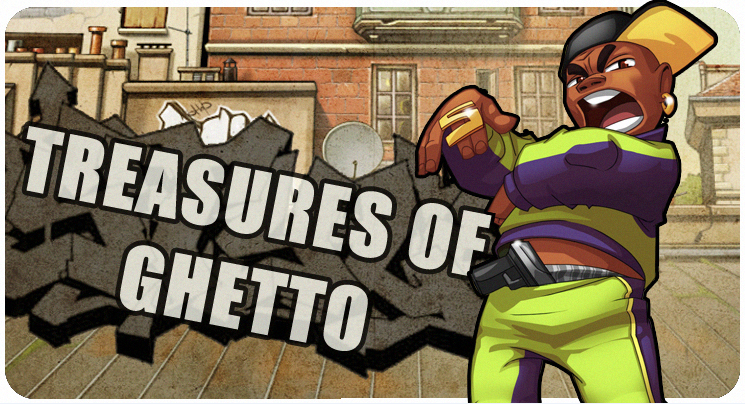 Dear players, it's time to reveal the results of "Treasures of Ghetto" contest. In the tremendous battle over Ghetto the Clubbers have won with 41% of Dominance, next to them are Rockers with 31%. The Clubbers have gained 142,991 Dominance points in total. Thanks to your efforts, the total prize sum is 16,004 torns which were divided between the members of winning faction according to their personal efforts. Here's the data about the winners. The prizes shall be handed out within 24 hours. Good luck in the upcoming events!